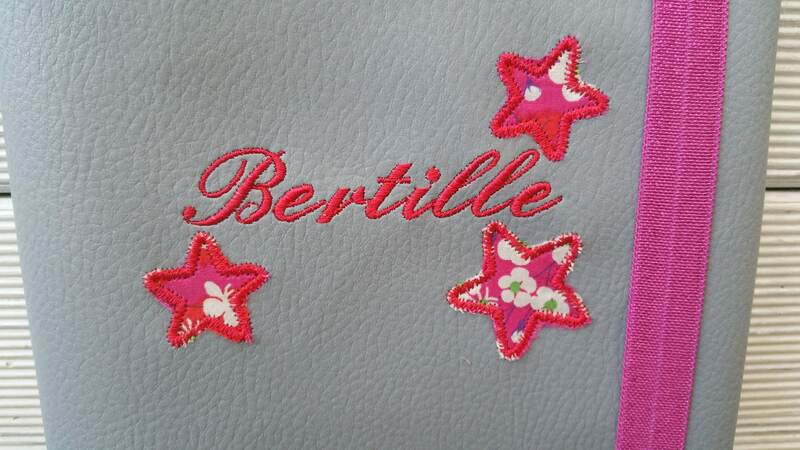 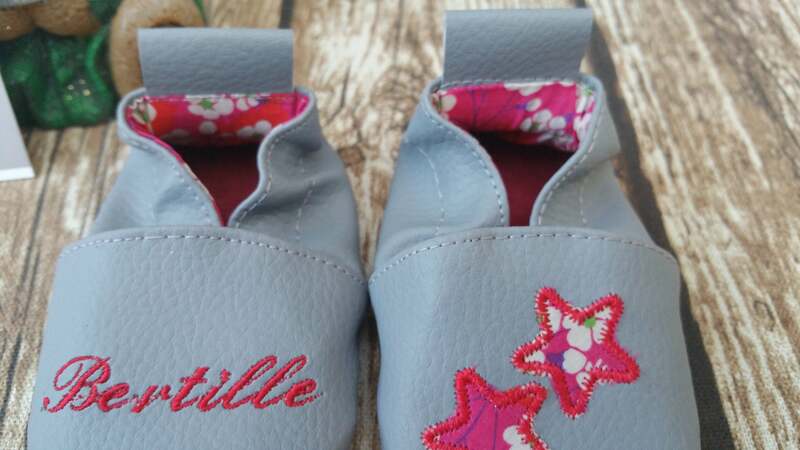 Gift to personalize: slippers and health booklet protection cover, stars, liberty. 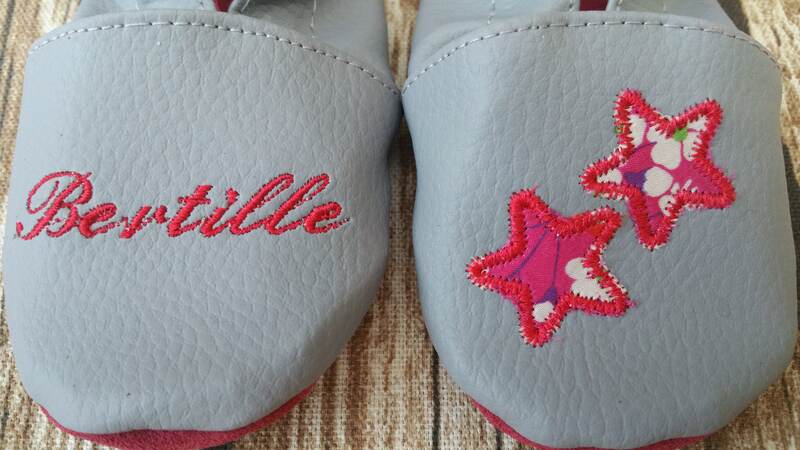 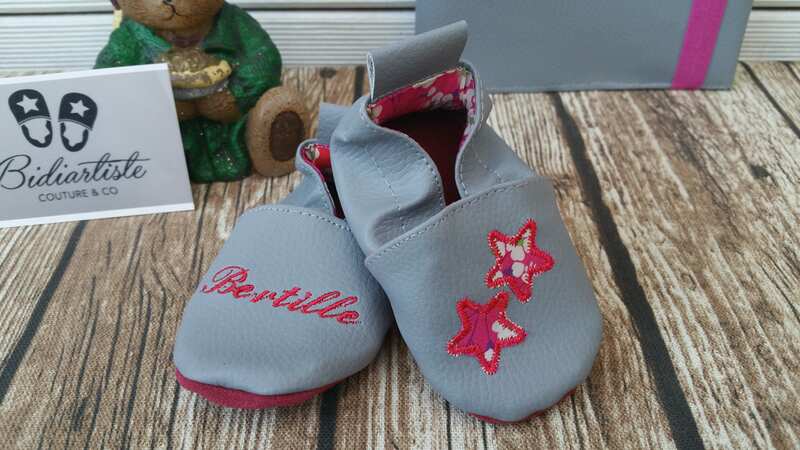 Pair of slippers soft faux leather with leather sole, liberty lining. 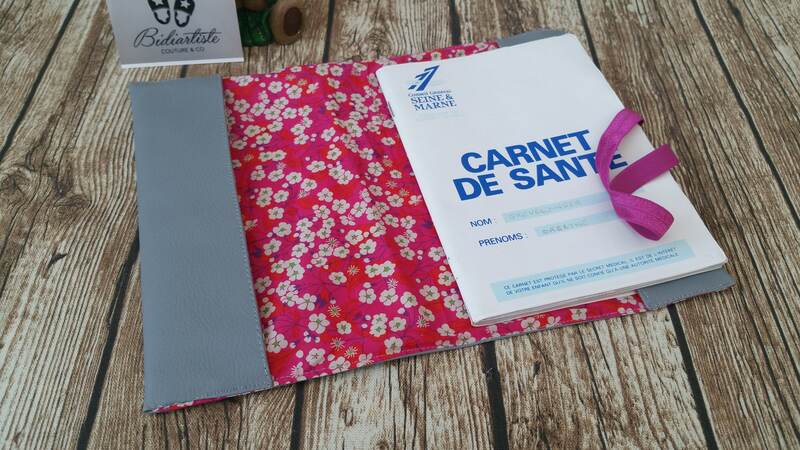 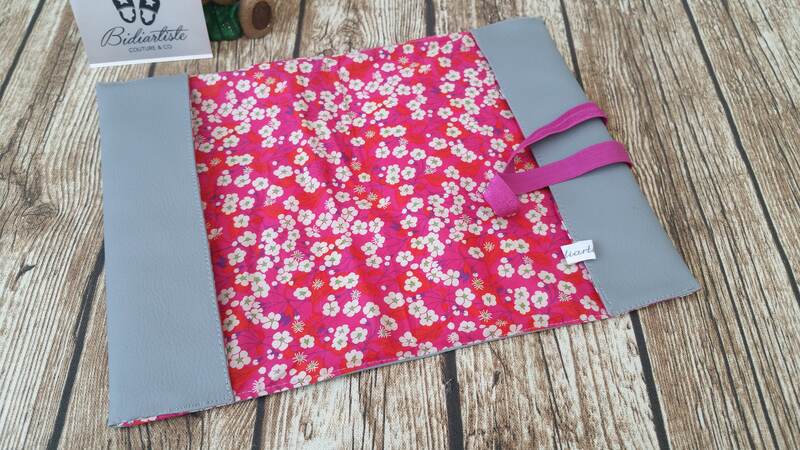 Health booklet protection cover leatherette with liberty cotton lining.